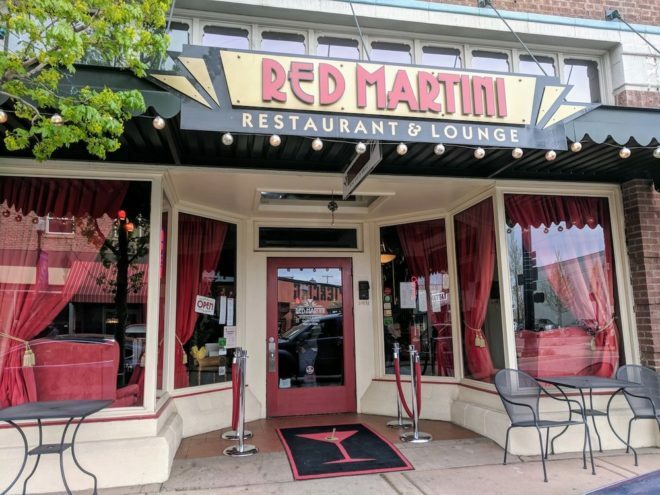 If you’re looking for a special dining experience in Redmond, the Red Martini Bar and Lounge should be at the top of your list. As historic, downtown Redmond revives itself, this classy new restaurant makes a nod to the city’s early days. With signature Art-Deco styling – red velvet, dark wood, and vintage posters – you’ll be transported to the 1920’s, when the building itself was first built. The menu at Red Martini is classic and inventive. As the name implies, the restaurant specializes in cocktails. Their signature martini, “The Red,” mixes raspberry, mint, lime, champagne, and vodka. 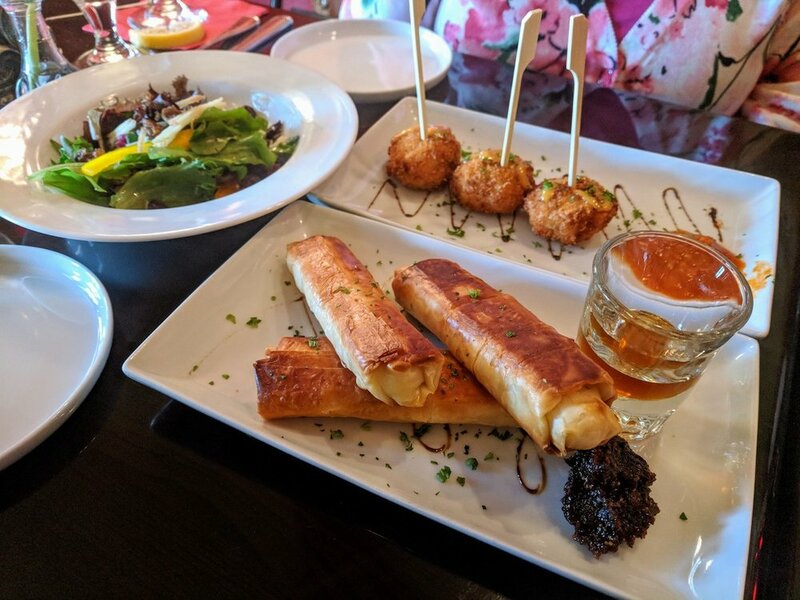 In addition to libations, patrons can also enjoy fine dining, share tapas-style small plates, or just pop in for dessert. 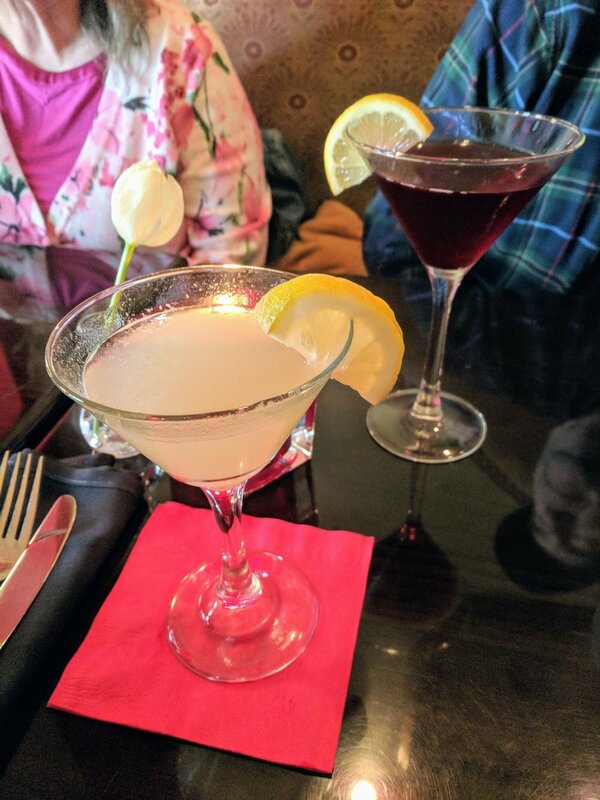 Prices on the dining menu are relatively high for Redmond, but the daily happy hour from 4 – 6 p.m. is a great way to sample some the offerings. 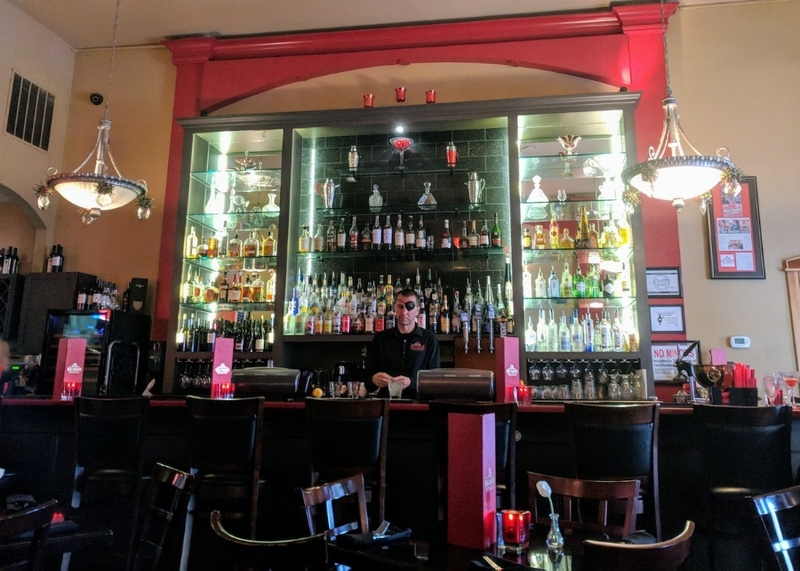 We recently dined as a group of four and highly recommend everything we ordered: 2 pommes frites, an artisan green bounty salad, 2 orders of the crab cake minis, and goat cheese cigars. The service was friendly and the wait for food was tolerable. Atmosphere was unique and pleasant, though it does get quite loud. Reservations are recommended. Definitely worth a visit for your next night out!